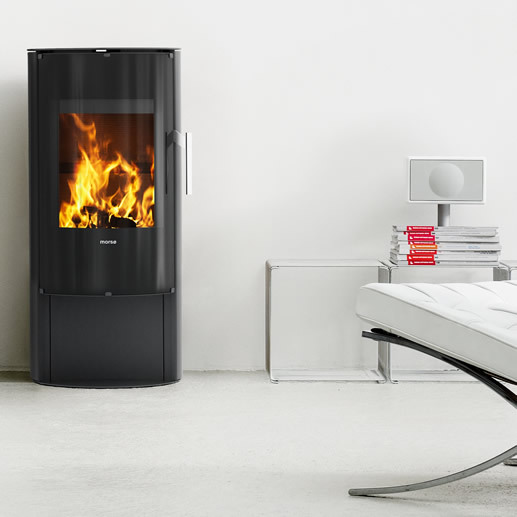 The Morsø S10-40 wood fireplace has a stylish and minimalist design, and is part of Morsø’s modern range of steel fireplaces with a focus on modern expression and contemporary design. The front of the fireplace is dominated by a large glass door, which ensures maximum enjoyment of the fire and viewing of the flames. The handle remains cool during stoking.